For this edition of the PetSittingOlogy Digital Series, Josh Cary interviews writer and entrepreneur John David Mann as they discuss the newest edition to his Go-Giver series, The Go-Giver Influencer, co authored with Bob Burg. The Go-Giver Influencer shares valuable conflict resolution tools that depend on seeing the world from another person’s point of view and can help any entrepreneur in the world of business. Growing up in a household where classical music was regarded as religion, John David Mann first became renowned for his composing prowess before moving on to entrepreneurial pursuits. Now, though, his name has become paired with his excellent writing ability as he co-authors books covering everything from conflict resolution (The Go-Giver series) to managing the ego (Mastering Fear). John now lives a quiet life as a prolific author and is launching his newest book, Mastering Fear: A Navy SEAL’s Guide, this August. “Who is your book for and what would they receive from it?” – While the current addition to the Go-Giver series is titled Influencer, it initially started out as Negotiator. John shares how they broadened the scope of the book to include how negotiating is simply influencing conflict resolution in the real world. While today’s definition of influencer has become people who achieve grandiose things, John wanted to focus on how the world offers differences of opinions that can be resolved with simply influencing others to see the other perspective. Simply put, the book is for anyone who would like a fresh perspective on conflict resolution in a world with many different viewpoints. “What is the Go-Giver approach?” – While the first two books in the series focus on global change, Influencer focuses on what John calls ‘Pendars Paradox’. This is the idea that people can gain more by giving up more. John discusses how this idea works in both his book and the real world, and how everyone can benefit by exploring this idea. “Did the books’ success take you by surprise?” – John speaks about how, when the first book was being written, Bob Burg and John had plans for success but were unsure how it was going to unfold. Once the first book took off in popularity, however, writing the second and the third saw growing levels of success. Josh discusses how much of business success is visualization as a path to success. John remarks that the first book was rejected by twenty-one publishers, but through perseverance found the right publisher to become the success it is today. This success was shared with another book co-written by John, The Recipe, which did not receive the same printing success but is now being made into a movie, somewhat through positive thinking. “Let’s discuss ‘Master your emotions’.” – Josh reveals how the phrase, “If you let your emotions drive the car, you are at the mercy of a drunk driver” spoke to him on personal level as a way to see how his emotions affect his everyday life. In discussing the five principles included in each book of the series, John speculates how mastering emotions relates to many aspects of successful resolution. In situations of negotiations, allowing emotions to determine what you do or say can create negative outcomes for you. Self-doubt, denial, feelings of hopelessness may persist, but it is important to consult your reasoning to make decisions over raw emotions. “The obsessive need to be right, is an expression of the fear of death.” – Josh and John discuss this quote by Eckhart Tolle, a favorite author of them both, and how it relates to the fifth principle discussed in the Go-Giver series. This principle discusses the need to let go the need to be right in life, which gets in the way of communication and listening. This is related to Echkart Tolle’s book A New Earth and the need to eliminate the ego in interactions. Josh and John debate how, just by minimizing the ego, you can grow as a person and succeed through growing social networks and yourself. “Every dispute is, first and foremost, a dispute with yourself.” – John examines how confirmation bias works in conflicts. External conflict often mirrors internal conflicts that we have with ourselves. If people are finding themselves repeating the same conflicts over in life, it is best to examine yourself to see if there are internal conflicts that need to be resolved. “The whole book is, in a sense, developing the capacity to look from another’s perspective.” – John reveals how the characters in book each develops from a point of being unaware of other people having the capacity to have independent desires not shared by them. As the book progresses, each character develops a solution no character is aware of without first stepping into another person’s shoes. John considers how this is seen in reality, where everyone works from a perspective that they are justified in their opinions or actions. “What is ‘setting the frame?’” – The idea that content and context of an argument are completely different are integral parts of the Influencer foundation. Content is the actual dilemma being discussed, and context is the situation and reaction that define how a problem is resolved. Framing is the context around the original conflict and involves removing emotions from your reaction. While John feels that not everyone would be good at framing in a constructive manner at first, practice makes for a better response. “Your mind, your body, and your soul are obviously in this world, was it always this way for you?” – John reveals how he experienced the evolution of his ego throughout his life. Early in his life, John remembers how he was much more concerned with appearance and his presentation, whereas now he feels he has evolved in priorities to where he is today. John also recounts his co-author, Bob Burg, and his journey as an ‘angry man’ in his younger days to where he is today. “Please tell us about your next project.” – John’s most recent book he has co-authored, titled Mastering Fear, examines how fear has become a major instigator of many of our reactions. Co-authored along with Navy Seal Brandon Web, this book discusses fear as just an awareness of danger. John speaks about how the five steps outlined in this book can help others use fear to enact positive change by awareness and control of your actions. “How does spirituality or religion play a part in your life today?” – While John grew up in a German Lutheran household, the emphasis in life was on music. Throughout his life, he explored multiple branches of world religions, but has always returned to Christian spiritualism. John speaks on how he has found spiritualism through everyday life. “What one mantra do you personally live by each and every day?” – The fact that there is something out in the world that needs to be discovered is counted as one of important facets of life for John. Whether in personal interactions, in world view, or in levels of correctness in perspective, there are always factors that individuals are not aware of. John counts being humbled by everyday life as a constant factor in his life. Curious about the book John and Josh were discussing during the interview? Eckhart Tolle’s book, A New Earth, Awakening to Your Life’s Purpose, is available on Amazon or at most major bookseller’s. The Go-Giver series, co-authored by Bob Burg and John David Mann, is also available at most major book sellers, as well as Amazon, and includes: The Go-Giver, Go-Givers Sell More, The Go-Giver Leader, and The Go-Giver Influencer. Mastering Fear: A Navy SEAL’s Guide, also discussed in today’s interview, comes out in August 2018 but is currently available for pre-order on Amazon. Excited about joining us for this years star-studded 7th Annual PetsittingOlogy Live Conference in beautiful Las Vegas? Early bird pricing is still available for tickets if you hurry! If you are looking to dramatically improve your website results by appearing on the front page of Google (like we have done for hundreds of your professional pet industry colleagues), then review the options here and let's compare notes! 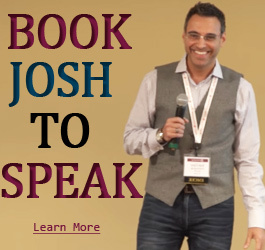 Josh Cary is a respected and well sought-after speaker and business consultant within the professional pet care industry. 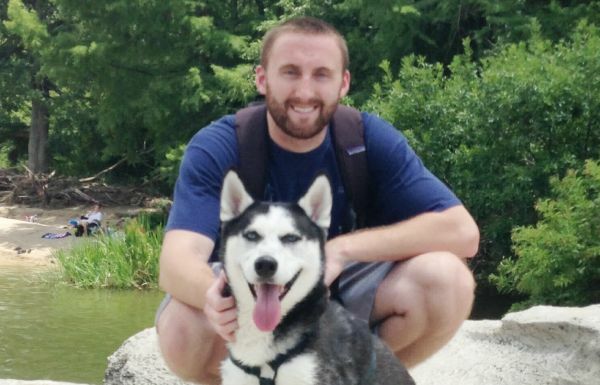 Since 2009, having grown his own pet sitting business, Josh provides his industry with the tools, support, and resources to build and maintain a thriving and respected pet business. With a strong focus on digital marketing, search engine optimization (SEO), and website development, Josh’s one mission is to help you Get Found First through a professional and effective website. 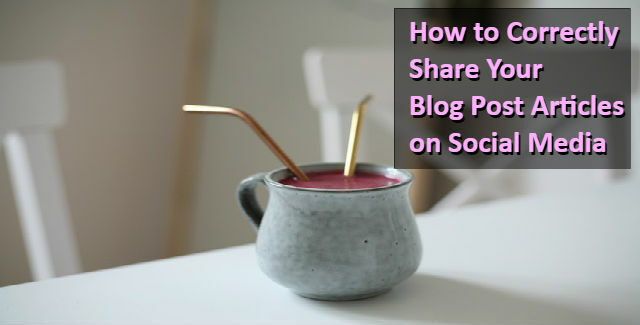 How To Come Up With Topics and Ideas for Your Pet Blog Posts: Take The Challenge! What’s Worse Than An Email Submission Landing in Spam and Not Knowing It? This is How to Prevent That. Take your website to the next level and boost your traffic with our proven 10 step process for better rankings on Google & other search engines. Send Me The Goods! Copyright © 2018 The Josh Cary Company LLC - All Rights Reserved.